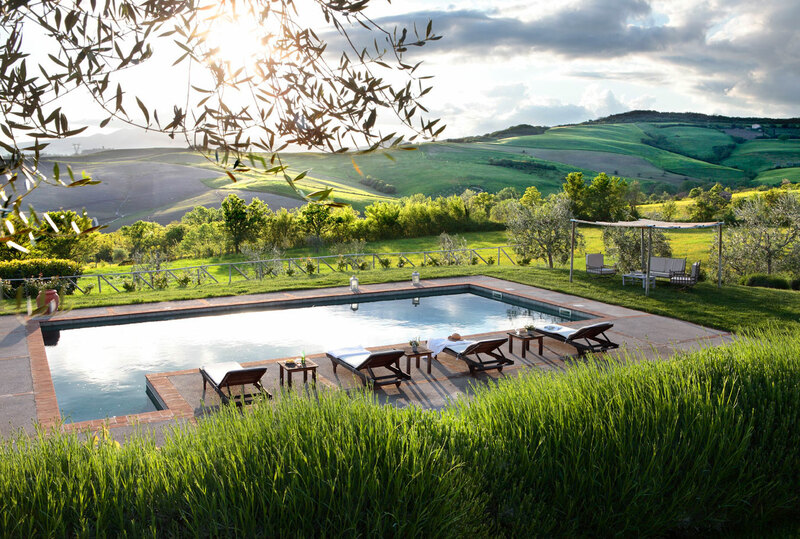 Sometimes we have to be extremely creative with our home design, especially when our space is limited. Hidden beds can be useful in your home if you have a studio apartment, a lack of a guest bedroom, or a need for more beds. 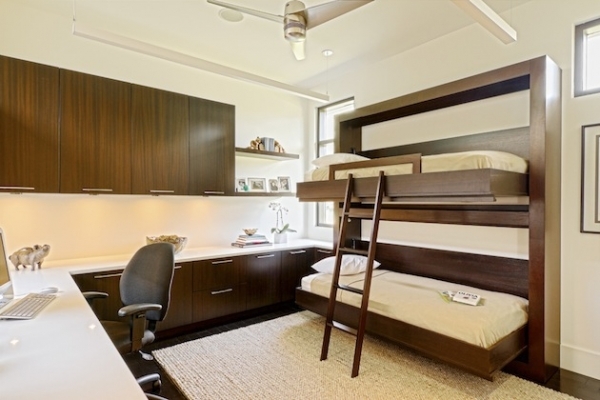 First up, we have space-saving murphy beds. These beds are a popular solution, and they can be very sleek and stylish. The first one folds into a clean-lined window seat. 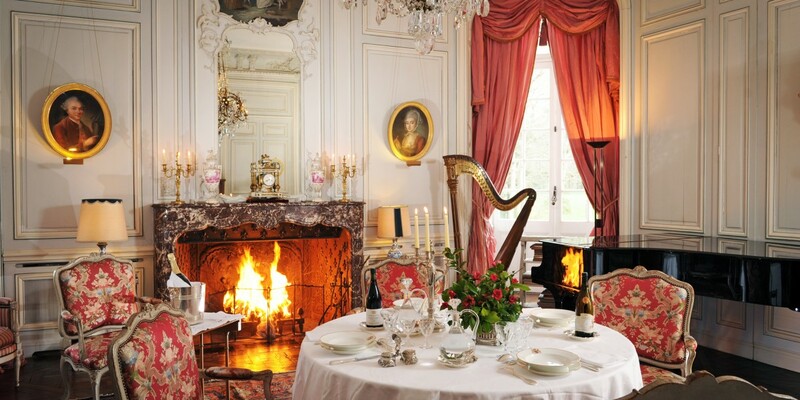 The fur throw, that is used for the bed, decorates the seat, when the bed is not in use. 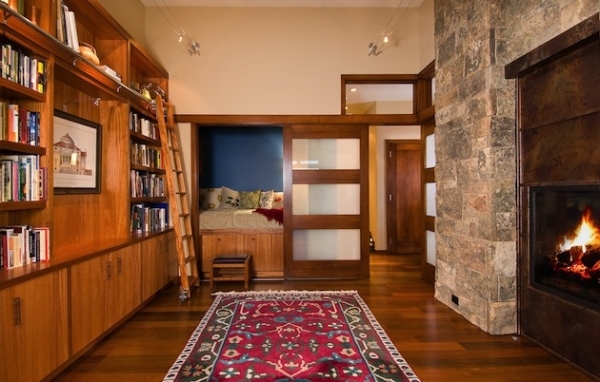 The murphy beds can also fold into a cabinet space or fold up to complete a wall. 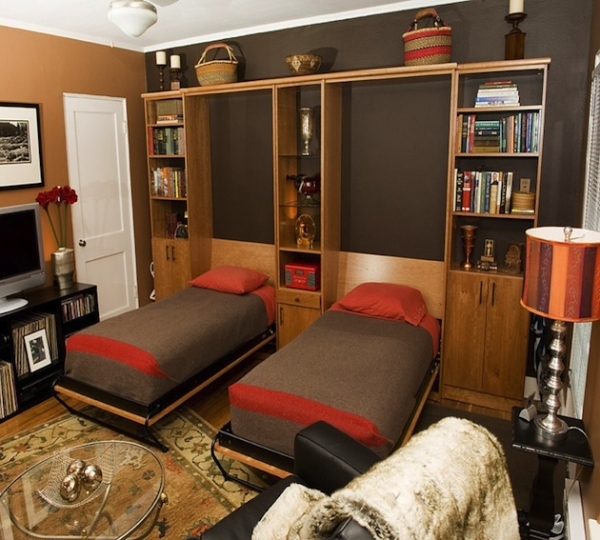 You are not limited to just one bed, when using a murphy bed, you could also do two twin beds, creating two sleeping spaces, instead of one. 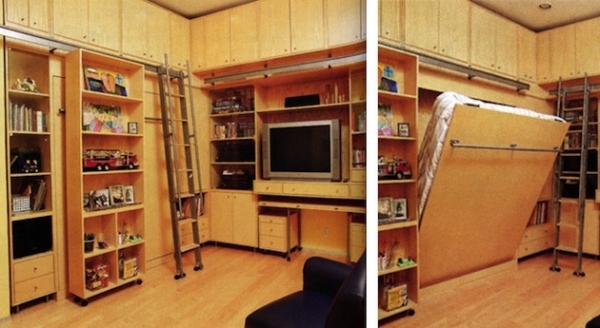 You can place your extra bed in a closet. 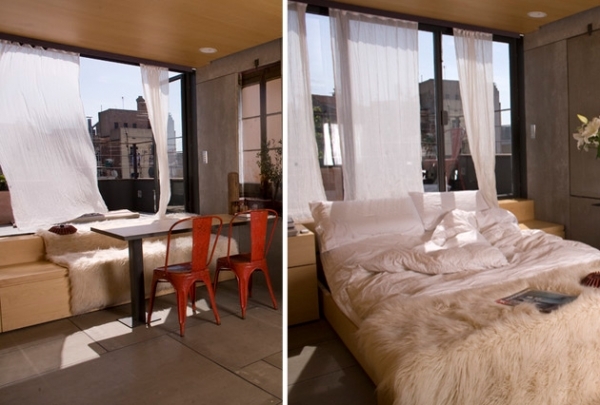 Again, you can do this with one or two beds. A perfect example of this is the fuchsia bed with black shelving. 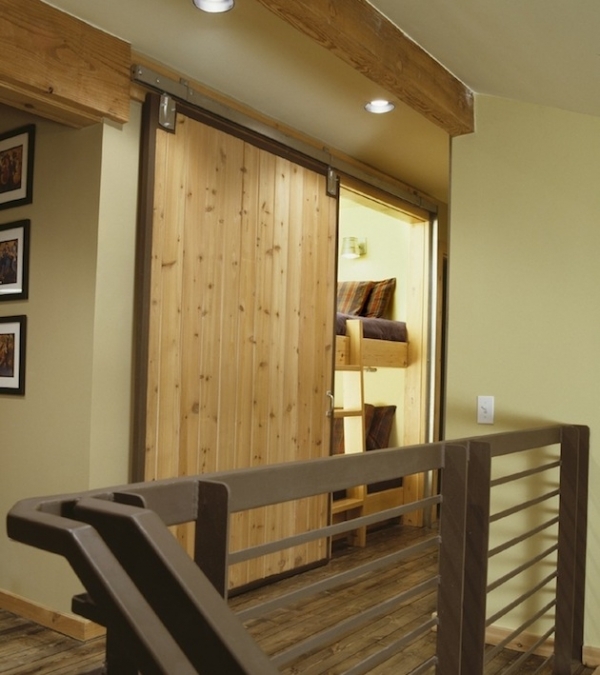 The large doors keep the space open and the shelving provides a place for storage. It is likely that using this idea will diminish your storage space, so combining the bed and the storage, is a fantastic solution. Another option for hidden beds, is a trundle bed. These beds can be stored under a larger bed or any open space in your home. This bed slides into an opening under the kitchen floor when not in use, providing an extra bedroom. 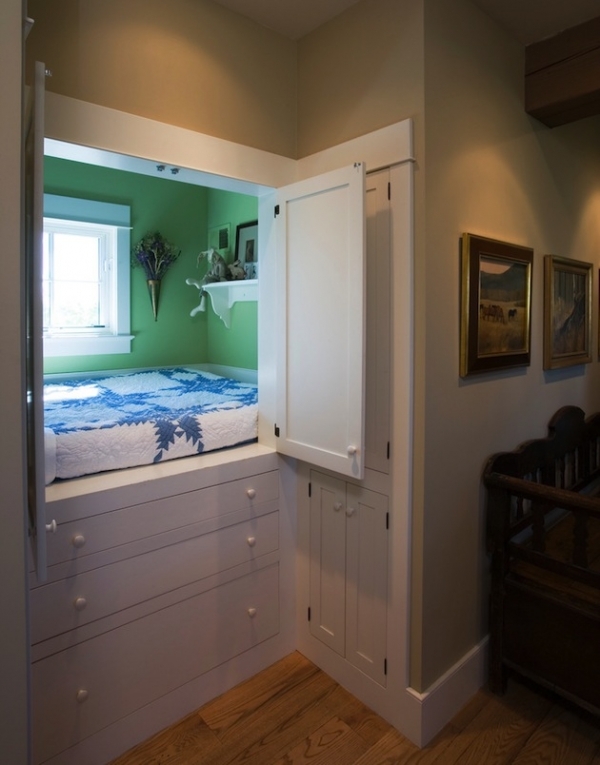 Hidden beds can be extremely useful in multiple situations. They can fit easily into your home, maintaining your personal decor. Murphy and trundle beds come in all shapes and sizes, making it easy for anyone to find what they need. But you are not limited to those options, you can also combine your closet space and sleeping area, effectively adding another level of creativity to your home.